Club Penguin Cheats by Mimo777 Club Penguin Cheats by Mimo777: Medieval Party Story Clue #1! Hmm, sounds like the quest will begin at the Mountain. Cool! There will be more clues soon! Let me know what you think will happen on this quest. No, I think this starts from Town, I have evidence, look at the bottom right corner of the paper, it looks like a couple of cottages, now look at the Medieval Map, there are the same cottages where Town is! From Loveluna 19, please friend me. 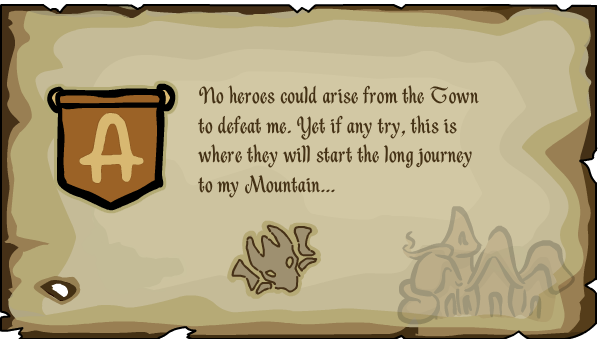 I think "my mountain" is referring to the Dragon's lair.